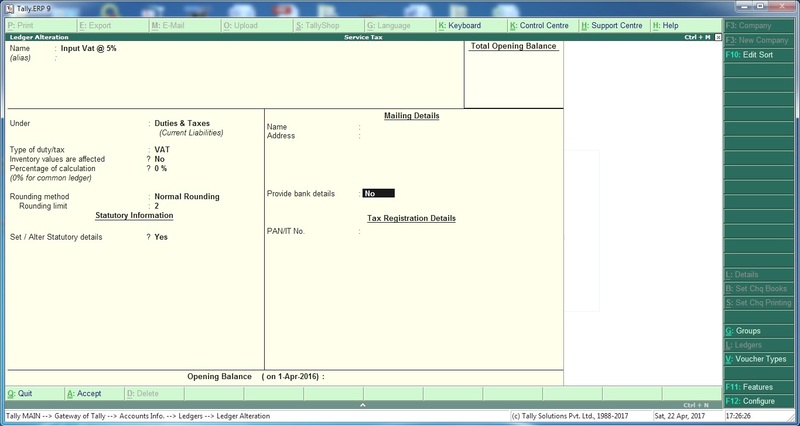 Go to Gateway of Tally - Accounts Info - Ledgers - Create. Enter the name of Ledger. Select Duties & Taxes from Under Field. Select VAT in Type of Duty/Tax field. 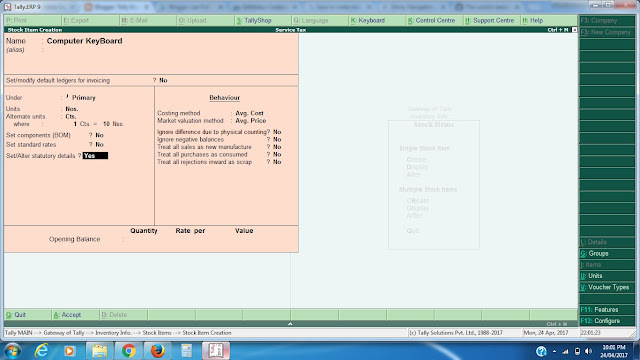 Enter the VAT rate in Percentage of Calculation. The rate entered here is used for calculating VAT in the invoice. Note: In an invoice, if the rate predefined for the selected item is different from the rate specified in VAT ledger, the calculation will not happen due to mismatch in predefined rates of items and VAT ledger Master. Set the option Set/ Alter Vat Details to Yes. 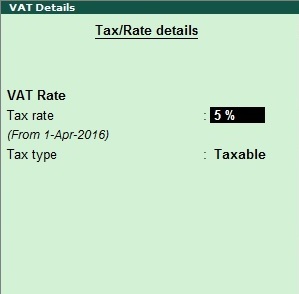 Now you can see VAT Rate now on your computer Screen. Enter desired Tax Rate applicable on your item/ Commodity. Now all is done. Tax Rate has been setup with your data.